In the beginning of this century a real estate agent told me the Longridge Estates was the most suitable Valley neighborhood to erect a home of distinction. My future wife and I drove up Longridge Avenue in amazement. 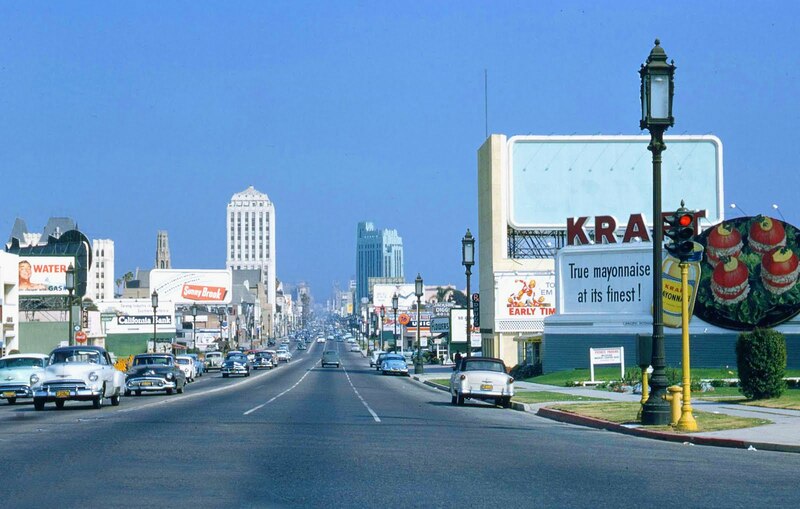 I knew I had chanced upon a link to Los Angeles’ core. The August 19, 1937 edition of the Van Nuys News reported building permits were taken out to construct a $17,000 residence at 4020 Longridge Avenue in present day Sherman Oaks. Unconfirmed rumors claim Jean Harlow secretly lived at this residence during the 1930s. 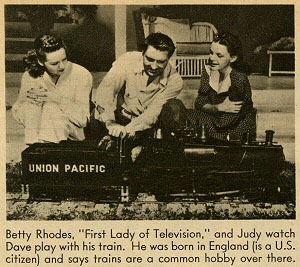 During their marriage Rose’s backyard railroad was called the GAR-Rose. Rose and Garland divorced in 1944. Rose continued to live at his pre-marital Longridge Estate. Some say Rose was the original spouse pole vaulted by marriage to somebody more famous. Whatever the case, his career as a composer continued and so did his backyard railroad he rebranded Holiday Special. 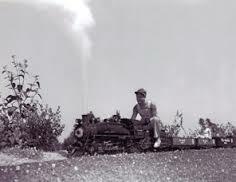 In early 1949 when Uncle Walt walked through the studio machine shop he chanced upon asking shop manager Roger Broggie if he knew anybody who had a steam powered backyard railroad. Broggie recalled master draftsman Eddie Sargeant knew David Rose through a railway club called the Southern California Live Steamers. February 5, 1949 Roy (he built a home near the top of Alomar Drive in the Longridge Estates shortly thereafter but the home was destroyed in the 1994 Northridge Earthquake and this author declined the purchase of this lot which has perhaps the best view in the Longridge Estates), Walt, and Broggie visited David Rose and his new wife at 4020 Longridge Avenue. The primary purpose of the visit was to see Rose’s 1/8 scale replica of European steam. Several hours were spent in conversation with Rose, riding the rail, and inspecting the machinery. Walt decided he liked the 1/8 scale railroad more than a 1/12 scale he had seen because he could ride on the 1/8 scale. Rose, an American born in England, preferred European design. Walt concluded a more ornate American design was his preference. Seeing and experiencing the Holiday Special sealed the deal. Walt was committed to build his own railroad. On his way back to the Burbank studio he decided he needed more space than Rose’s 950 feet of track, and he needed a bigger residential lot than his and Lillie’s. Soon after his visit to 4020 Longridge Walt was put in touch with Dr. Peter Janss who sidetracked from medicine to develop Westwood while donating 385 acres of land to the regents of California for the site of the University of California, Los Angeles. Janss agreed to show Walt Bel-Air land he considered so choice he planned to build his own home on the land. 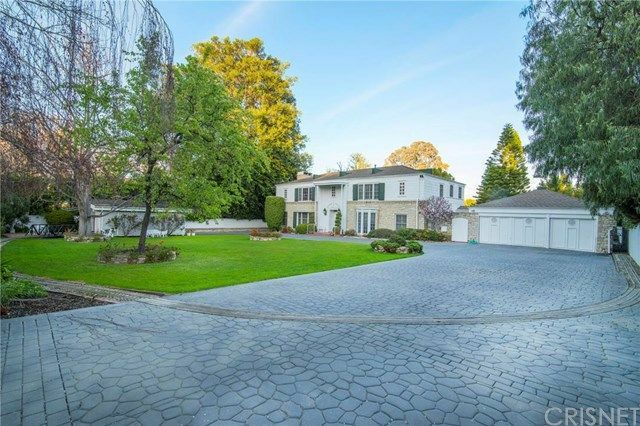 The purchase went down and Walt owned 355 North Carolwood Drive. More than 2,500 feet of track was laid at 355 North Carolwood. On the days Walt did not go into the studio he puttered around on his backyard railroad he named Carolwood. Sometimes he shaved in the roundhouse. Other times he made improvements to the milieu until he decided he needed acres for a public amusement park that featured a larger scale railroad. Rose continued to live on 4020 Longridge until his death in 1990. He recorded more than 5,000 hours of music, 80 albums, was nominated for Academy and Grammy Awards, and won six ASCAP Television awards. He did the background music for Bonanza and stayed in touch with Michael Landon for the rest of Landon’s life. Rose went on to provide music for almost every Landon production including Little House on the Prairie, Father Murphy, and Highway to Heaven. The Rose property was unfortunately sold this year, but the track remains. The Holiday Special made is now in the hands of another backyard rail collector and survives. 600,000,000 people have visited Disneyland since it opened in 1955.